Bobbi Kristina Brown: Houston Family Fighting Over $20 Million Inheritance – Still On Life Support – Nick Gordon Innocent? Bobbi Kristina Brown is still on life support, despite doctors allegedly stating that Whitney Houston’s daughter has shown no signs of recovery or any hope of regaining consciousness recently. The chances of Bobbi recovering – especially back to anything approaching normal – given her failure to exhibit higher brain activity are almost non-existent at this point. However, Bobbi’s father, Bobby Brown, and husband, Nick Gordon, are not giving up – despite the numerous reports of the Houston family’s desire to pull Bobbi off life support completely. See, the battle for Whitney Houston’s inheritance still rages on. Bobbi Kristina Brown is the heir to the entire $20 million fortune, which means that if she dies [i.e. if the plug gets pulled on her], then the money will eventually go to her family. Obviously, they all know this and some sources say that greed explains their constant presence by her bedside. The same people who allowed Bobbi to languish in a drug abusing lifestyle with her confederate Nick Gordon without doing anything to help her are all of a sudden inseparable from the tragic comatose woman. Now, the majority of her family has also been fighting with Nick Gordon over his part in Bobbi’s drowning/suicide/assault/attempted murder/we’re-still-not-sure. Nick and Bobbi fought before her drowning, but Nick has consistently and continually insisted that he’s innocent and is not in any way responsible for Bobbi’s current desperate situation. And even though Nick’s doing his best to stake his claim against Bobbi’s family over her money, he’s also making sure that Bobbi stays on life support. People [including Bobbi’s and Nick’s friends] have also started coming out of the woodwork to defend Nick and claim that he would never murder Bobbi or cause her permanent harm, but do we really know that? At this point, experts have stated that Bobbi’s chances of recovery are extremely low, but that doesn’t mean anything to Bobbi’s family. Bobby Brown and Nick Gordon may be at odds over Nick’s innocence, but they are both agreed on keeping Bobbi on life support which is more than can be said for Cissy Houston and he clan. What do you guys think? Will Bobbi Kristina Brown stay on life support indefinitely? Or will the rest of her family convince Bobby that letting go is a more humane option? Let us know your thoughts in the comments below. 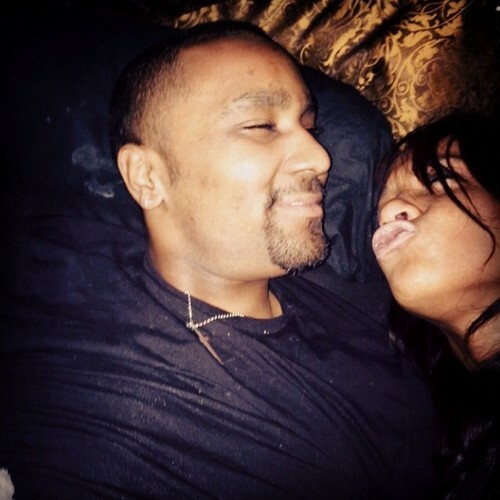 Bobbi Kristina Brown’s Family Bans Nick Gordon From Home He Shared With Bobbi – Protecting $20 Million Inheritance? Bobby Brown Cancels Australian Tour To Be With Bobbi Kristina Brown – Really After $20 Million Inheritance? Bobbi Kristina Brown’s Breathing Tube Removed – Doctors Perform Tracheotomy – Long Term Life Support Expected? Bobbi Kristina Brown: Nick Gordon Takes Legal Action to See Wife in Hospital – Family Forbids Visit!